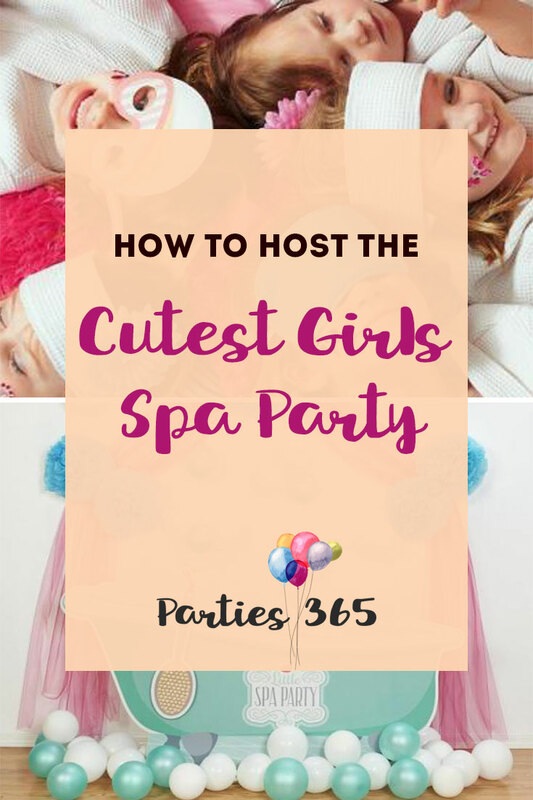 Hosting a girls spa party for your daughter’s Birthday, end of school year bash or just because is one fun way to spend an evening. 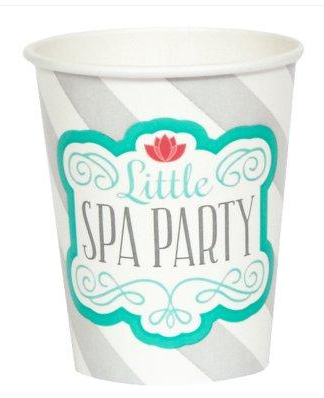 I’ve shared some other Spa Party ideas in the past and I can’t wait for you to see these new ones. Let’s start with the party table! 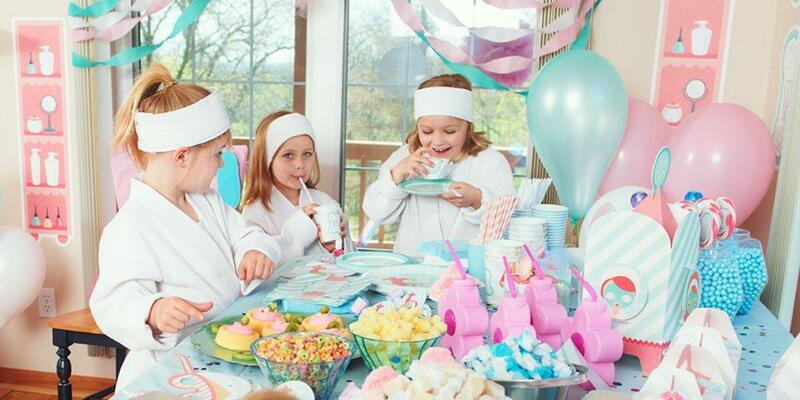 Birthday Express makes it incredibly easy to turn your home into the ultimate, beautiful spa party for your little girl. From their Spa Party Guest Packs to their Spa Party Favor Boxes – it just doesn’t get any easier or cuter than this! 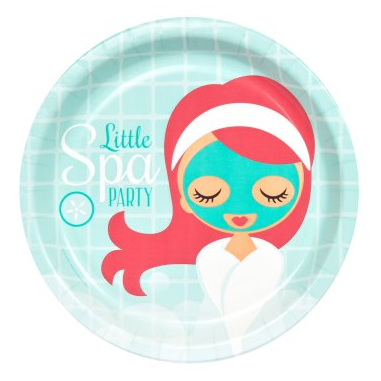 The Spa Party in a Box includes plates, napkins, tablecover, paper cups, forks and spoons for 16 guests. Be sure to add on the matching Spa Party Balloon Bouquet to pump up the glam! Here’s a closer look at some of the Spa Party Supplies. You have the party table decorated, now what about the room? 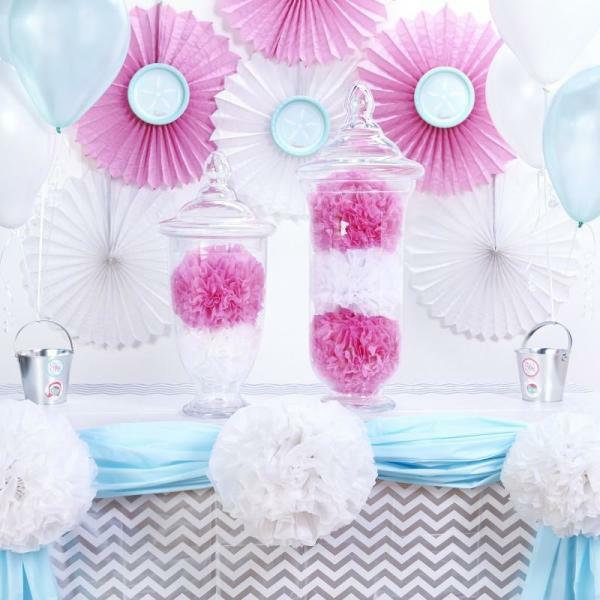 Why not create a feature area or photo booth for the party that looks like this. Your glamorous little spa gals would look adorable next to this in photos! The food for a spa party is all about finger foods. 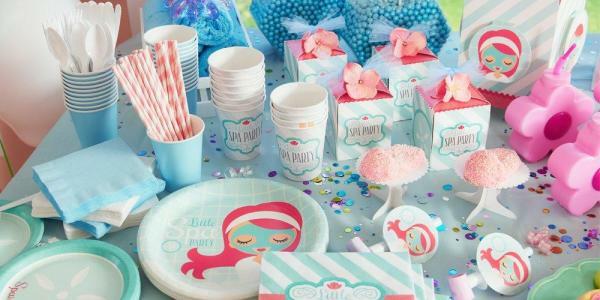 Here’s another look at the party table example put together by Birthday Express. There are so many fun ideas pictured! Alternatively, this nail polish cupcake stand would be a darling way to display your birthday treats! And why not top those cupcakes with these emoji sleeping mask cupcake picks?! 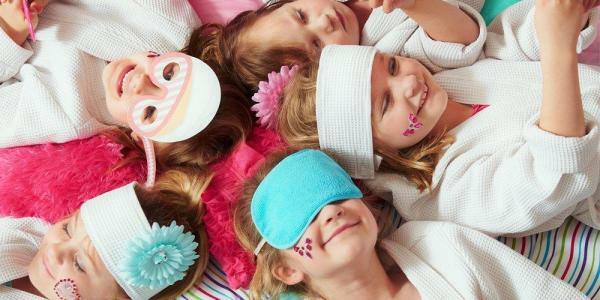 A spa party is all about relaxing and since every little girl needs her beauty rest, why not start with leopard print or unicorn eye masks and a hot pink satin robe! You can also use these cute spa tote bags as favor bags and fill them with things like nail polish, toe separators, a manicure set, lip balm, stickers, candy and more! 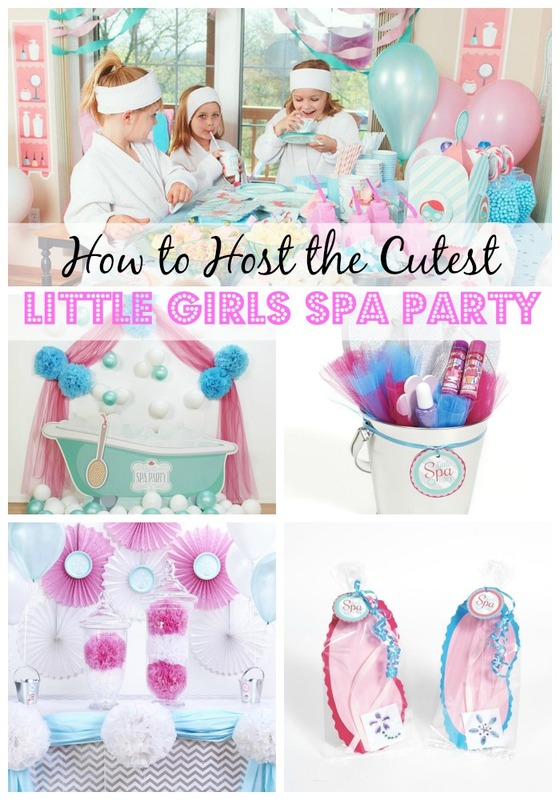 There are so many fun ideas when it comes to the entertainment for a girls spa party. It really just depends on the ages of the girls. You can watch movies, give mani and pedis, do facials, sit around in robes and play board games. There are endless ideas! 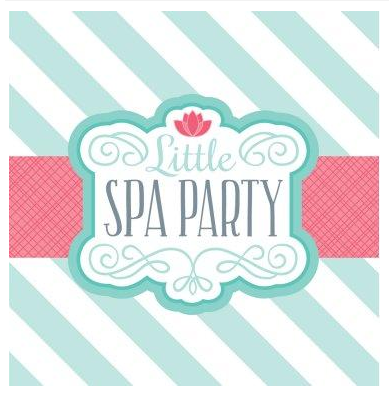 We hope you’ve been inspired to create a fun, relaxing event for your little Girls Spa Party!